Paget Brewster is an American actress, voice actress, and singer from Massachusetts. Brewster was first recognized for her role as Kathy on the fourth season of the NBC sitcom ‘Friends’. Her rise to fame came as Special Agent Emily Prentis on the CBS crime drama ‘Criminal Minds’, on which she appeared on from 2006 to 2012. As of 2019, Paget Brewster’s net worth is approximately $9 million dollars. Paget Brewster was born on the 10th of March, in Concord, Massachusetts. Brewster is the daughter to Hathaway Brewster and Galen Brewster. Her mother worked as a government official, and her father worked as a school administrator. Brewster grew up in Massachusetts and moved to New York City to attend Parsons School of Design. She made her acting debut and eventually dropped out of design school to pursue her acting career. Brewster hosted a late-night talk show in the San Francisco Bay Area called Paget for 65 episodes. She received her first recurring role as “Kathy” in the fourth season of NBC’s ‘Friends’. She appeared in Andy Richter Controls the universe and Huff. In 2005, Brewster started to voice work as Judy Sebbe on the animated series ‘Harvey Birdman’. She has a long run with the show Criminal Minds, playing the Special Agent Emily Prentiss until the show’s sixth season. Owing to complaints from fans, she was rehired and kept for the following season. She reprised her role as Emily Prentiss in season nine for the 200th episode as a special guest star. Brewster portrayed bureau chief ADA Paula Foster in the Public Integrity Unit of the District Attorney’s office on NBC’s long-running drama ‘Law & Order: Special Victims Unit’. Brewster is a regular on The Thrilling Adventure Hour, a staged production in the style of old-time radio that is recorded monthly at Largo in Los Angeles. In 2013, she appeared in episode 106 of the Drunk History television series on Comedy Central. The following year, it was announced that she has been the cast in the new ABC comedy ‘St. Francis’. As of 2019, Paget Brewster’s net worth is $9 million dollars. Sometimes we hope for magic solutions that will solve all our problems. If I just do this one thing… my business will be saved or “…my life will be perfect. Successful people know that’s not how it works. There are no “magic bullets. Successful people understand risk better than most people. They take risks and reap big rewards when a business idea succeeds. They also know that, out of 10 ideas, most will fail. If you want to make it in the movie business, you have to start as a gofer and work your way up. Paget Brewster is best known for portraying ‘Kathy’ on the popular sitcom ‘Friends’. She is also known from the television show ‘Criminal Minds’. Criminal Minds have been seen worldwide, and she has gained huge attention because of that. As of 2019, Paget Brewster’s net worth is estimated to be $9 million dollars. 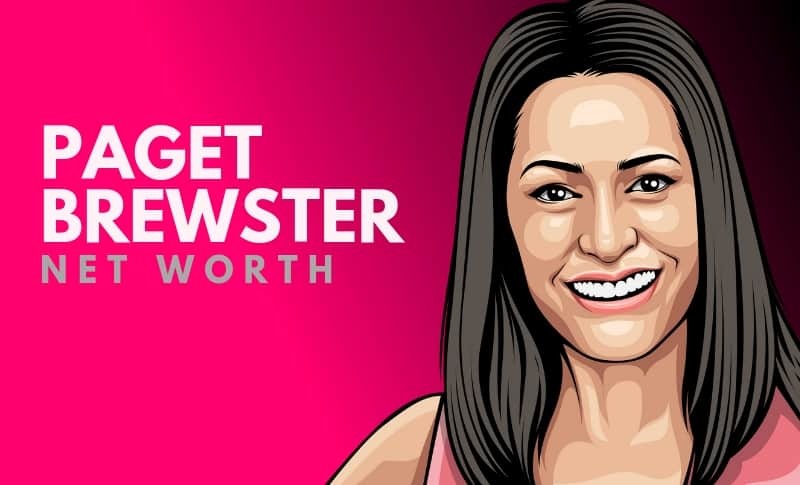 What do you think about Paget Brewster’s net worth? Leave a comment below.